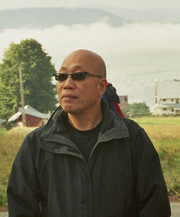 Howard Choy was born in Shiu Hing Guangdong China in 1949. With his family he emigrated from there during childhood, first to Hong Kong then Sydney, Australia. He now lives in Berlin, Germany with his architect wife Gyda Anders. Through his involvement with Feng Shui, Taijiquan and Qigong, which provide the perfect vehicle to combine his professional practice with his passion, he has succeeded in keeping his birth inheritance intact. Proud of his Chinese cultural heritage, Howard is fortunate that being bi-lingual has given him the opportunity to study the deeper aspects of classical feng shui and to practise and teach it at an advanced level. He is strongly committed to do his part to ensure that this living tradition from his birthplace continues to survive and prosper throughout the world. He has mastered Xing-Shi Pai (Form) and Li-Qi Pai (Compass) schools of Feng Shui, including all four Bazhai methods, Xuan Kong Feixing, Xuan Kong Da Gua, San Yuan and San He methods. After graduating from the University of New South Wales (B.Sc. (Arch), B.Arch. UNSW), Howard returned to Hong Kong to work as an expatriate architect. There in 1978 he began his Feng Shui studies under the personal tutelage of Master Ren Zhi-Lin in Hong Kong - his most influential teacher. At the end of two years of intensive study, consisting of two private tuition sessions a week plus accompanying Master Ren on weekend consultations, Master Ren gave Howard a full set of manuscripts and formulae handwritten by himself, a 2.5m long calligraphy and his personal San-He Luopan, as tokens that his lineage had been genuinely passed on to Howard and as parting gifts to commemorate their good relationship. He then furthered his training in classical Feng Shui by studying with honourable Feng Shui experts in China, most notably Professor Cheng Jian-Jun from Huanam University of Technology, Guangzhou; Feng Shui Master Hu Jing-Guo from Shenzhen; Professor Wang Yu-De from Huazhong Normal University, Wuhan - who in 2005 gained authorisation for the first ever Feng Shui Course to be certificated by a Chinese University. For more than 30 years, Howard has been at the leading edge of Feng Shui architecture, consulting and teaching classical Feng Shui all over the world. He has given significant presentations at Feng Shui conferences in London, Turin, Moscow and Singapore and the Hong Kong International Conference on Scientific Feng Shui & the Built Environment. Almost annually he takes students to China to experience Feng Shui and Chinese culture in place and visit many ancient sites. He was the President of the Feng Shui Society of Australia, and currently a life-member of the Association of Feng Shui Consultants, Australia, Principal of the European College of Feng Shui and a director of the architectural office, aq-qi-tektur in Berlin. Formerly, in Australia he was Principal of the Feng Shui College of Sydney and director of Feng Shui Architects Pty. Ltd. Recently Howard was elected as an execative commettee of the Feng Shui Society, UK and Europe. Working as a Feng Shui consultant and architect, Howard has participated in several major projects of note, including the urban upgrading of Sydney’s Chinatown for the 2000 Olympic Games, which won the Australian Institute of Landscape Architects National Project Award in 2000, and the restoration of the Chinese Garden of Friendship in Sydney’s Darling Harbour. He has also consulted on some major companies and trading banks as well as a couple of large casinos in Asia and Australia. Gyda Anders is Howard’s wife and his partner in their Berlin practice ar-qi-tektur, where they work together as feng shui architects. She also reads Chinese and that unique combination enables her to teach with Howard some of the theoretical and practical applications of classical feng shui in a realistic, down-to-earth manner. Howard has written several books on Feng Shui and Qigong and co-authored two with Belinda Henwood: Feng Shui: Creating Health, Wealth and Harmony”, Pan Macmillan, Sydney 1998, Qigong: Feng Shui for the Body, Pan Macmillan, Sydney 1998. Feng Shui - How to Create Harmony and Balance in Your Living and Working Environment, Lansdowne Press, 1997. He is also a specialist subject contributor to the Sydney North Shore Times newspaper and to Better Homes and Gardens magazine.